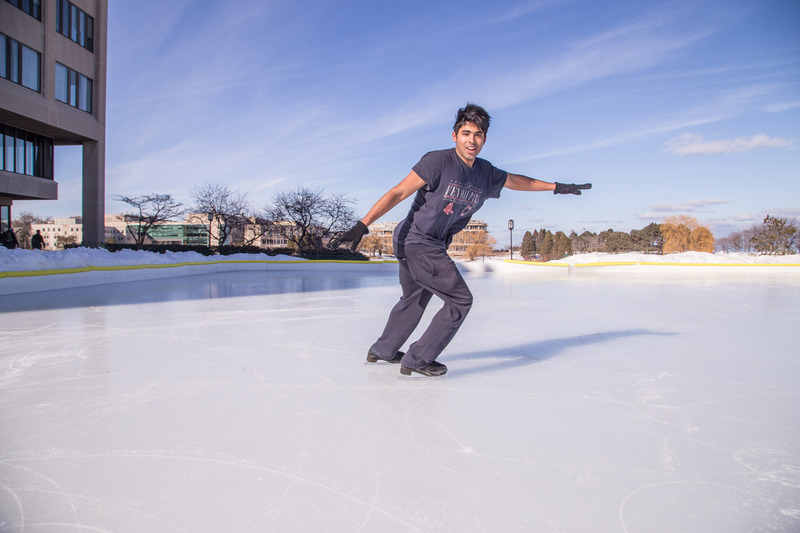 The Norris Center ice rink isn’t exactly Olympic-caliber, but it does the trick for School of Professional Studies student Amar Mehta. As a former competitive figure skater, he frequents the rink as often as he can, forgoing rental skates for his own pair. 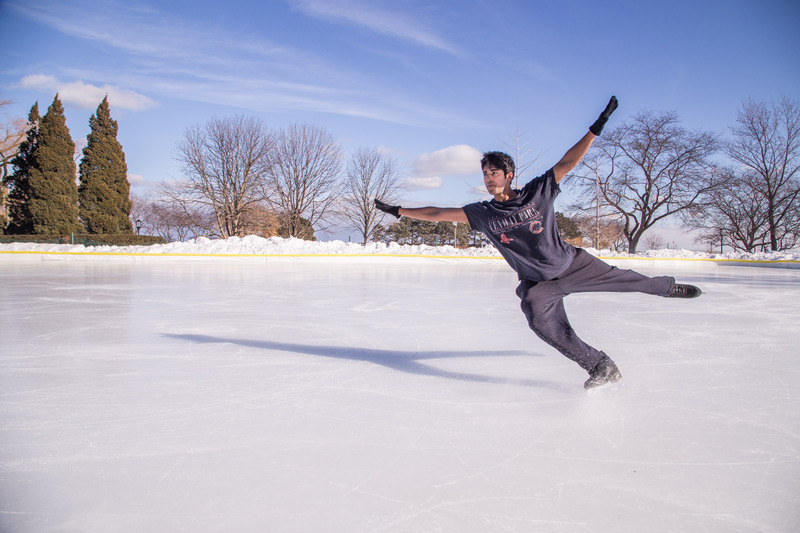 Starting at age 7, Mehta trained and conditioned for about five hours per day, receiving coaching from greats like Scott Hamilton and Michael Weiss. 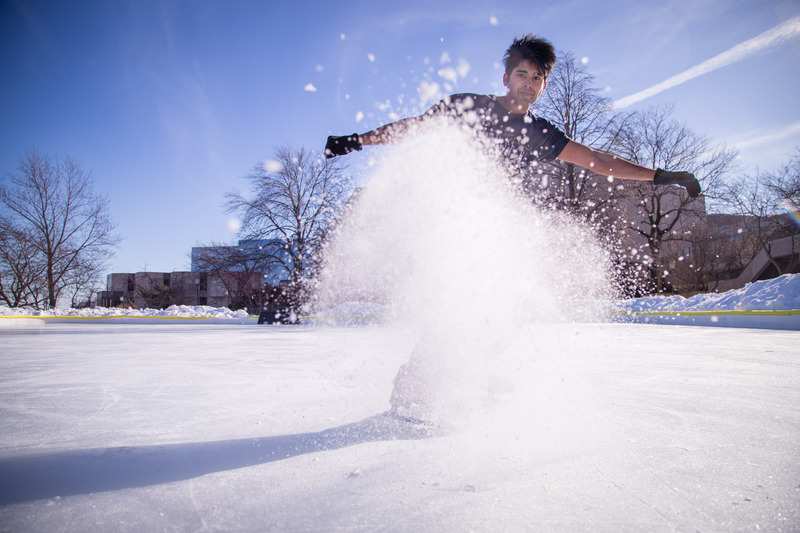 He was on track to compete at the Winter Olympics, but stress fractures in his knee and back ended his competitive career at age 19. 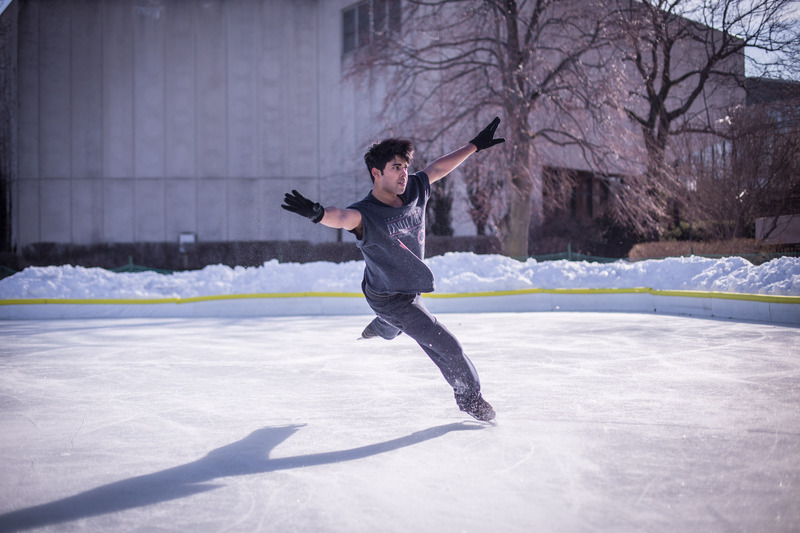 A graduate of Northwestern’s Class of 2014, Mehta is now taking biology classes and enjoying the ice rink before warmer temperatures and medical school applications arrive this spring.